Everything happens in it’s time, the way it’s suppose to. We are all linked, believe it or not. There is a story written out, that links us, we are playing a part in God’s story. With that being said, how often do we get to see it play out. Follow the chain back to where blessings our curses start? Maybe even a part of the chain? God is so good, He has blessed me with seeing a part of a chain, a chain reaction of blessings. It’s quiet amazing I must say. It all started with a Prayer Jar. Not my pray jar, nor even some one I personally know. There is a mother, that homeschools her children. 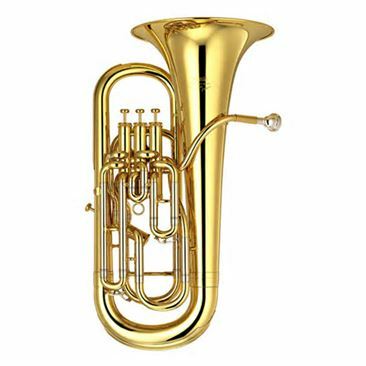 Her son loves music and decided that he wanted to play the Euphonium. Yup, I had never heard of it either. Let me show you a picture. Well, these are extremely expensive. This what not something that was in their budget. The mother being a Christian, wanted to let this request be an example to build her son’s faith. She told him to write on a piece of paper his request, and that they would place it in the family prayer jar, and when the prayer was answered they would write on the back of the piece of paper, how and when God answered their prayer. Amazing idea, and to show a teenager, in a tangible way how God answers prayer. They submitted their request and sometime later, the mother was on Ebay searching Euphoniums and how much they might cost, buying it second hand. She found a posting on Ebay from my friend Shari. By faith, she sent a message to Shari privately, and asked if she would sell it any cheaper, and told her how much her son wanted to play this instrument. Not knowing Shari too was a Christian, and was selling this to raise money for her son for a missions trip to Greece. Shari, felt in her heart, that God was leading her to give this instrument for free to this woman. Shari spoke to her husband and he concurred that this is in fact what they should do, and that God would bless them in another way in order for them to go on the missions trip to Greece. Shari, received a a $500 donation and 66,0000 frequent flyer miles that covered her missions trip to Greece. But, the story doesn’t end there. Shari in 2013, had to get an apartment an hour away from her home to go to a school that would accommodate her Autistic son Jacob. It was a tough choice to make, but a needed one, due to not losing ground on his progress, and needs. 6 months into there stay in Shamokin, her husband received a deduction in his pay ( Like so many Americans). They scrambled, and did not know how they would pay their rent, to keep Jacob in school here. Shari, had relayed to me what was going on, and asked me if I would keep her in my prayers. I obliged. I was praying and asking God, if there is anything else I can do to make this happen for her, please lead me Lord. Shari, messaged me the next day and said she had added everything up and that she would need $2400 to stay for the rest of the school year. So, this is the amount we were praying on. I added this prayer request to my facebook page and received 22 responses from friends that offered to also prayer for Shari, along with that, they were bringing me $$ for her. I called her and she felt so blessed and could see how God was moving. By the end of the next day, I received a facebook private message from a friend of mine Colleen. Colleen relayed to me that she had a apartment in town, that she had just remodeled and that she would like to give it to Shari and her son rent free for the rest of this school year, and next school year. It was closer to the school, and in much better shape, also gave her and Jacob their own beds. ( Praise God). Still, this chain of blessings continues. Shari, was telling me about the prayer jar, and the story of the Euphonium. I had never heard of the prayer jar concept and really liked it. My personal business, that my husband and I own is struggling. We live in a small depressed area, and as our country continues on this economic downturn, we are struggling to keep our little gift shop afloat. I have faith that God is doing a work, to keep us going, but my husband struggles with the hardship and stress of keeping it open. I relayed to him one morning while discussing our business finances, about the prayer jar. I was believing maybe this could help his faith as well, if he could see something tangible. We got a jar, and I asked him how much $$ we needed to get out the hole, he gave me the amount which was substantial and we wrote it on the piece of paper. I prayed over the request, and I said to him we will write on the back of this slip, when God answers our prayer. Within 10 minutes of writing this down, a friend of his from high school, called and told my husband that he wanted to invest $$ he had set aside into our business model, and open up additional stores in more populated areas. The call was out of the clear blue sky on a Tuesday morning. I said to my husband this is a sign that God heard our prayer, and is working on our behalf. The new stores have not come to fruition yet, and I don’t know exactly how God is going to work this all out. But, what I do know is our God is hearing our prayers and is going to work it out in His timing and for His glory. I believe that the date (My birthday) on the answered prayer slip, is a sign that I am connected to this chain of blessings, there are NO SUCH THING AS CONCIDENCES.I will keep the faith, my God will come through. Stay tuned! They are, as you say “God winks” or “God instances”. We have started a jar as well. I have tried to do more of a “everytime I receive a blessing” I write it down and put it in the jar. But I believe I will add prayers. I tend to not pray for myself and it is something I need to do as . Thank you for sharing! You are an amazing woman!!! Love you! 🙂 So glad you are practicing this, what a great way to show our kids how tangible and unseen God is!!! God Bless you sweetheart! Thanks so much for sharing!!!! Always enjoy our conversations. Must start our family prayer jar!!! Always feel selfish when praying for my own needs,but know ther is power in prayer. Thanks have a great day. Such stories as this get suppressed. I know a man who walks in the innocent faith of a child, but had the pastor of his church interrupt his testimony to say God doesn’t work that way (in his case it was a guitar)! I almost didn’t read this post because of time, but God made the time, and I am blessed. Maybe I should start telling these stories I know, because God moves in our everyday environment, as real and loving, not as a theological idea!!! Its like puzzle pieces coming together, dominoes falling, ingredients for a recipe, a string in a tapestry…so many of us are connected to someone by a single, thin thread of our souls. And that person is linked to someone else by a thread and so one….and we all end up linked together for the greater good. Gods ways are so mysterious yet subtle at the same time. I am in complete awe of his works daily. How great is our God?